The latest edition, Vol. 6, opens with a conversation with Piet Kee, the legendary Dutch organist and composer, on the occasion of his 85th birthday. For his far-reaching influence as a player, composer, and teacher, Piet Kee was created an honorary Fellow of the College in 1987. Also featured are an appreciation of Hans Leo Hassler (the 400th anniversary of whose death falls this year) by Christopher Kent, and an exploration by Iain Quinn of the origins and evolution of the English organ sonata, in particular the impact Leipzig made on British composers studying there in the late nineteenth century. William Whitehead writes on keyboard slurring practice in the nineteenth century (an investigation which focuses on Mendelssohn), and the second of two articles by Stephen Farr looks at the new Bärenreiter edition of Jehan Alain’s organ music. RCO Director of Academic Development Andrew McCrea said: “Since being reintroduced by the College in 2007, the RCO Journal has quickly established itself as an important forum for scholarship related to the organ and its repertoire. Vol. 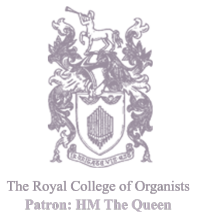 6 of the RCO Journal is available free of charge to Royal College of Organists members as a download or in print on request (visit www.rco.org.uk for details).